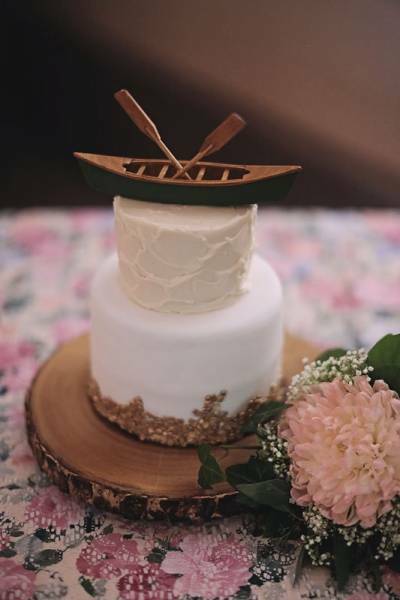 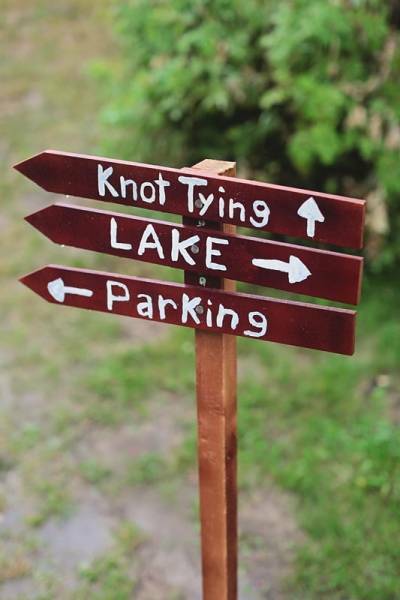 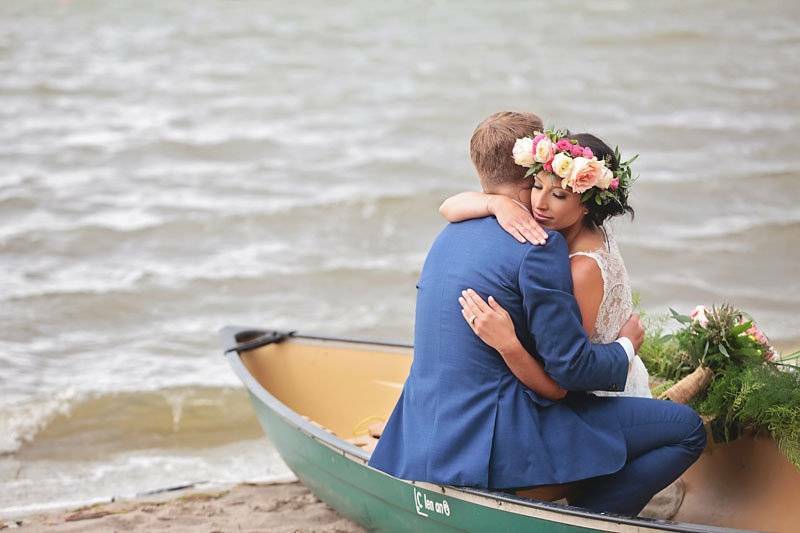 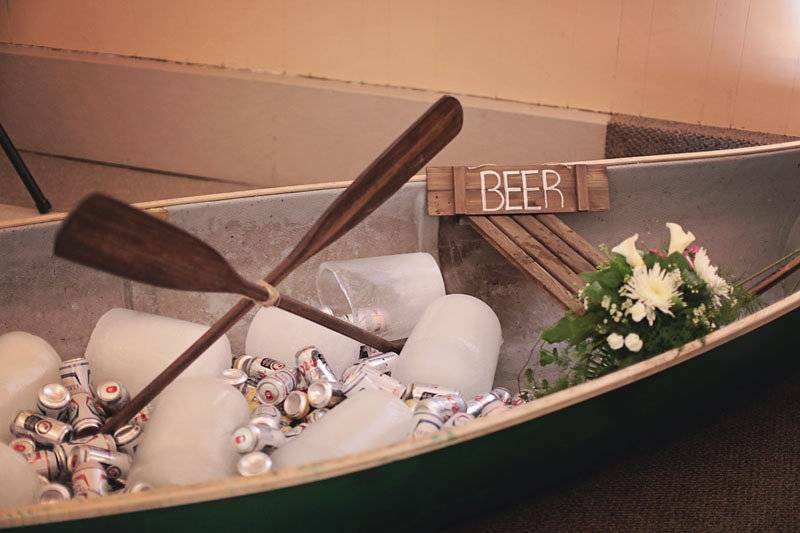 Today we are excited to share a gorgeous outdoor lake front wedding filled with charming details and a fabulous canoe theme. 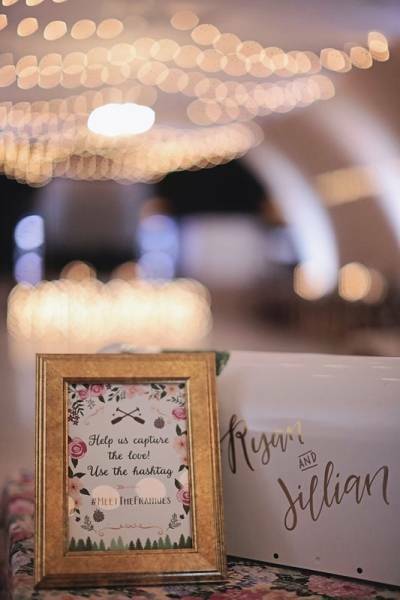 Jill and Ryan are madly in love with each other and you can see the emotion and beauty of their wedding captured in the gorgeous photos of Eternal Reflections Photography. 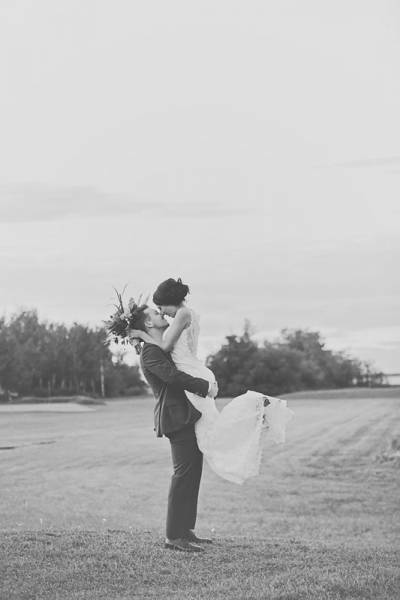 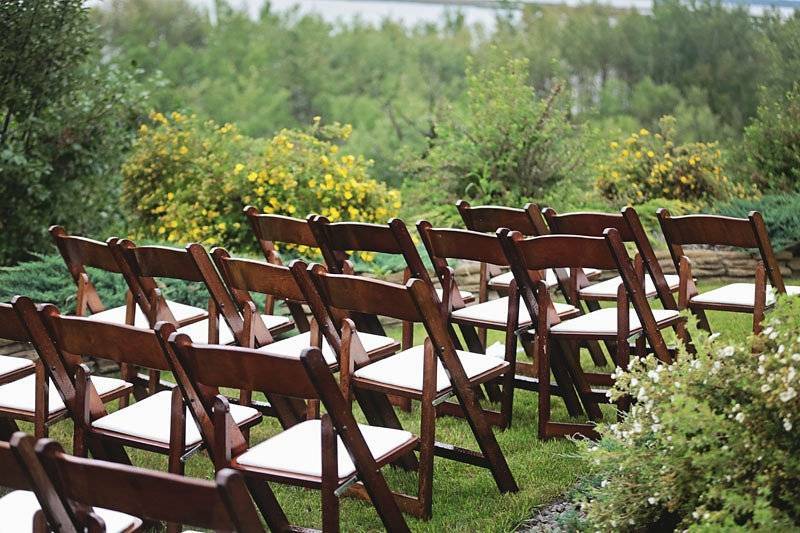 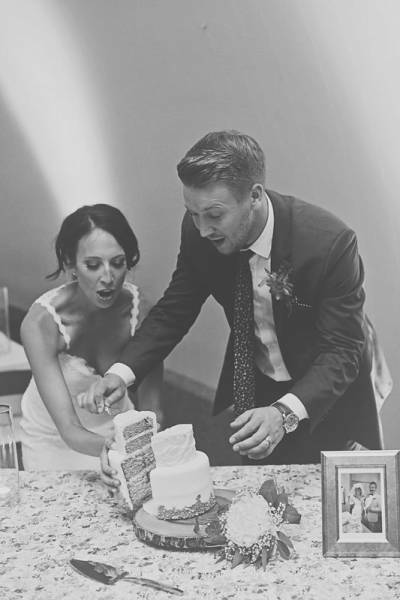 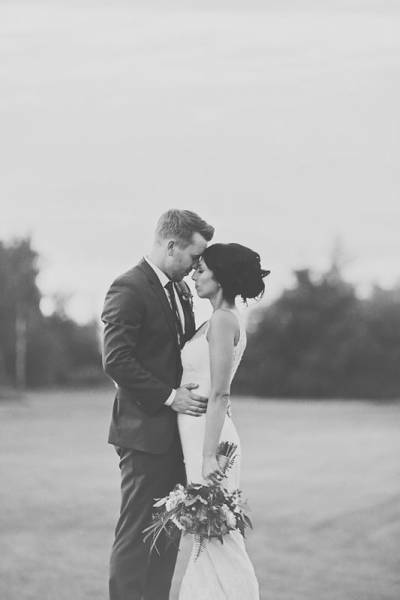 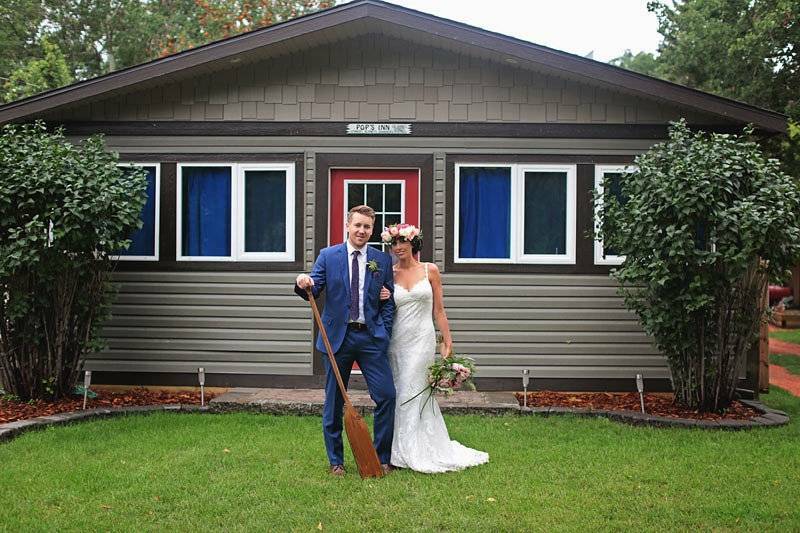 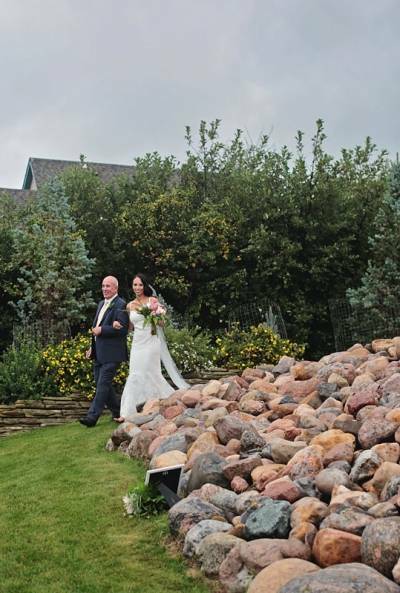 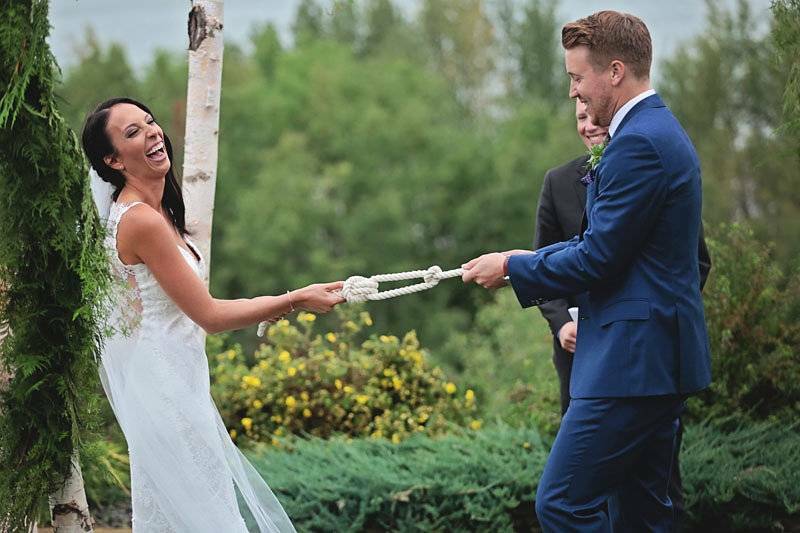 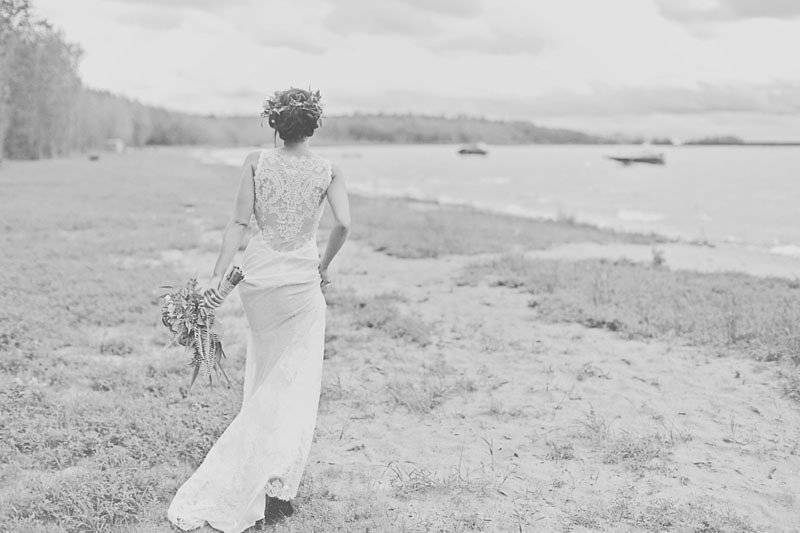 Overlooking Buffalo Lake, Jill & Ryan shared their love for each other in a beautiful, heartfelt ceremony surrounding by their closest family and friends. 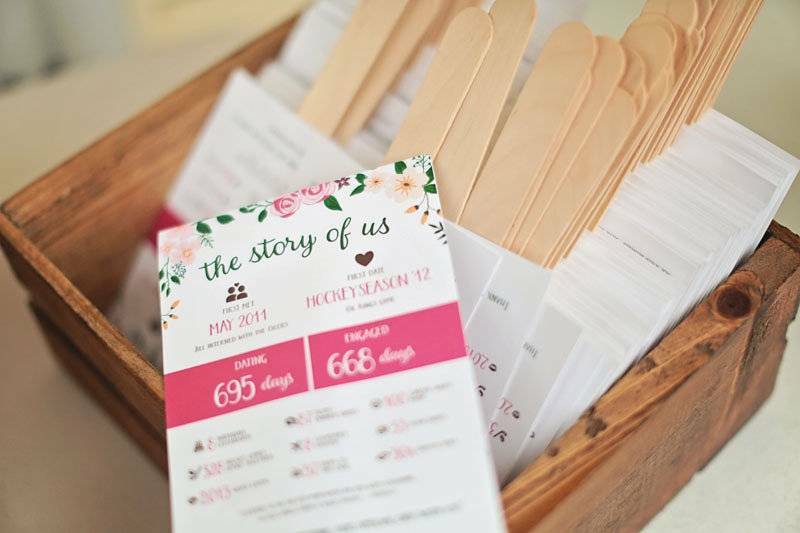 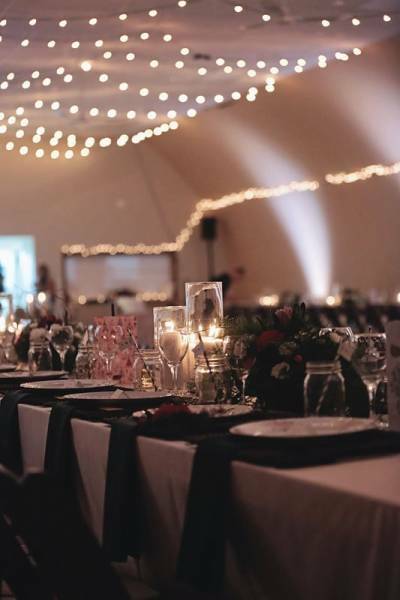 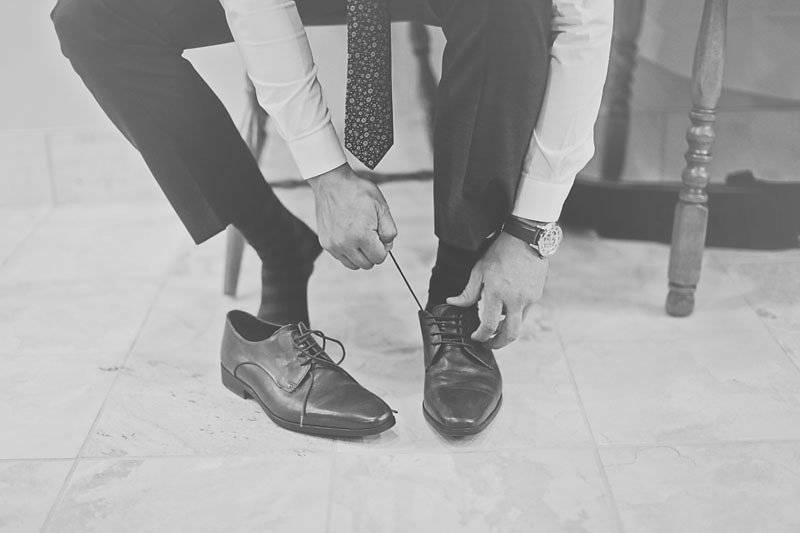 They added personal touches and pieces of their story throughout the entire day, creating a wedding that was charming, cozy and incredibly personal. 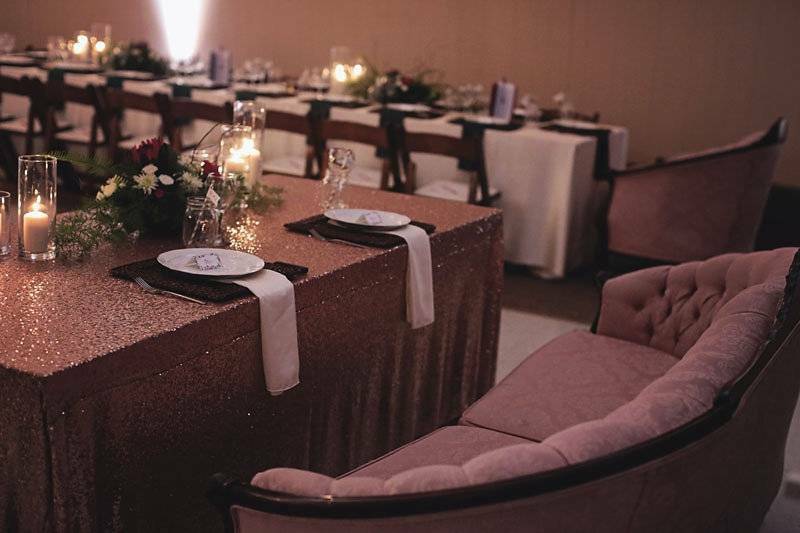 They mixed bohemian and rustic elements with elegance to create an amazing look and feel to their entire day, and we're still drooling over all the beauty. 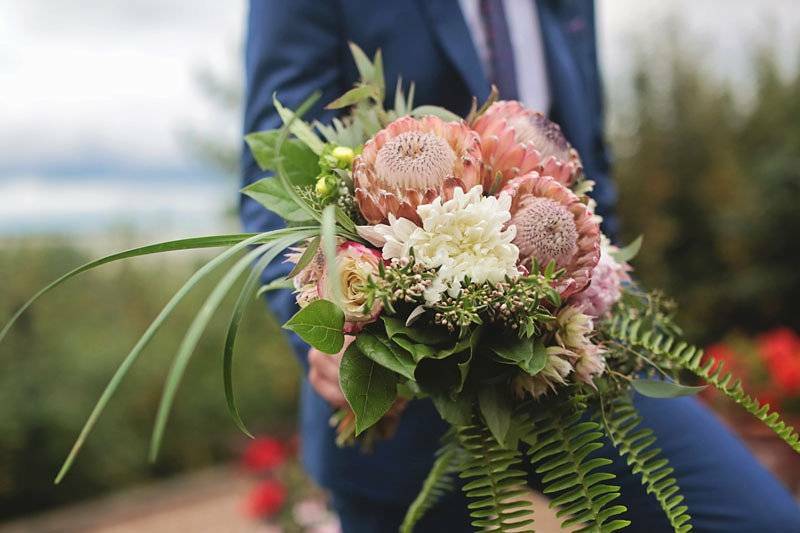 The combination of Protea and ferns created a luxurious and bohemian look for Jill's magnificent wedding bouquet. 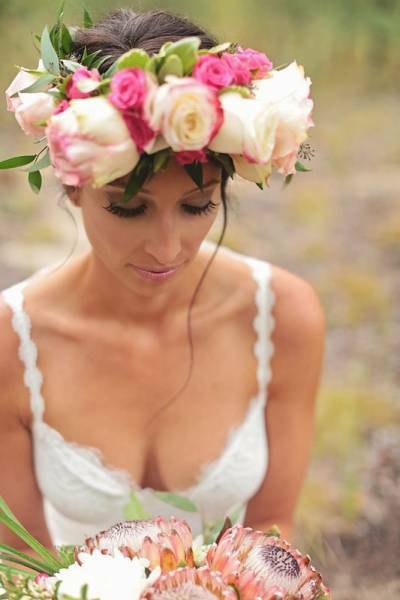 It's the perfect mix of bohemian and elegance that compliments the entire wedding (not to mention Protea is one of the most unique and visually stunning flowers). 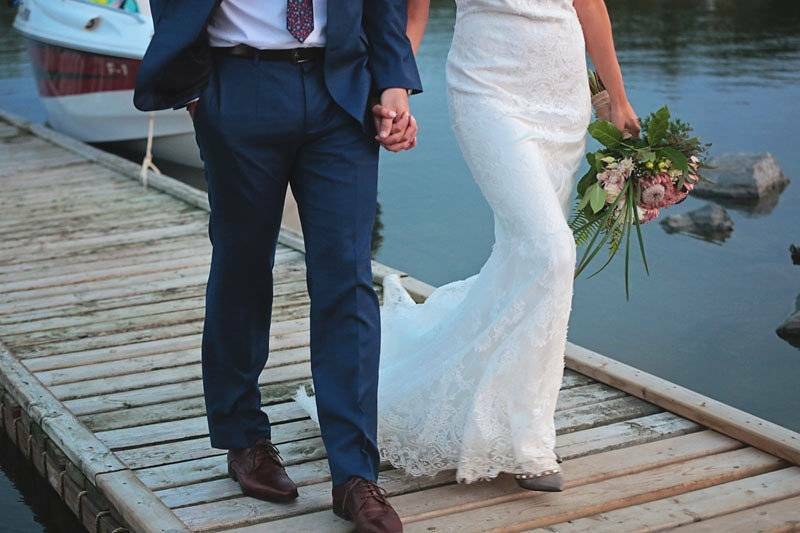 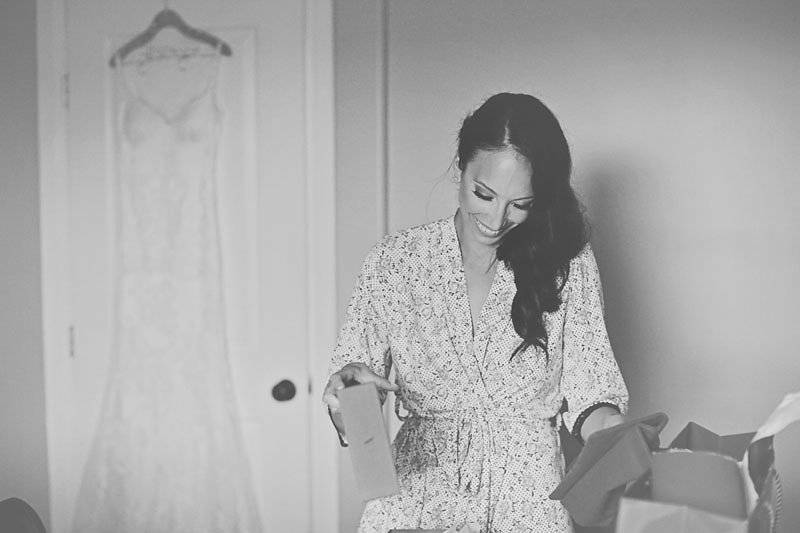 Speaking of the bride, we are in love with the luxurious Claire Pettibone gown she chose and the entire look she created with the help of makeup artist Mookie Salinas and hairstylist Sylvia & Co. 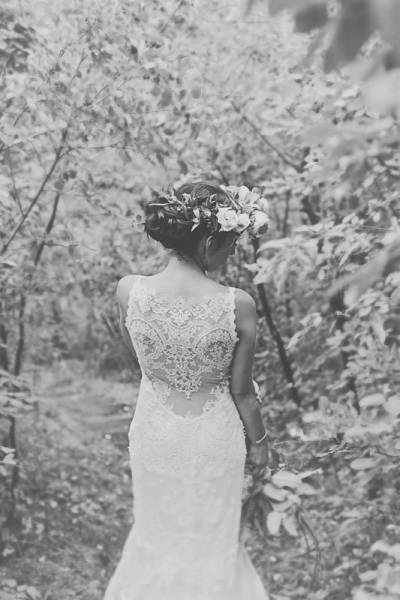 The stunning illusion back on her wedding gown adds the perfect touch of seductiveness while still remaining utterly romantic. 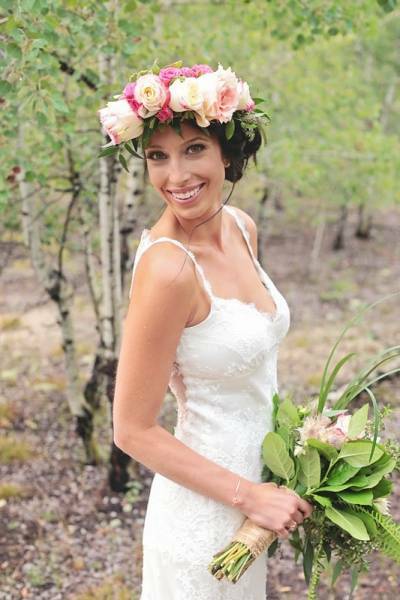 And we LOVE the fact that Jill took the time to change her hair and add an amazing flower crown for her portraits. 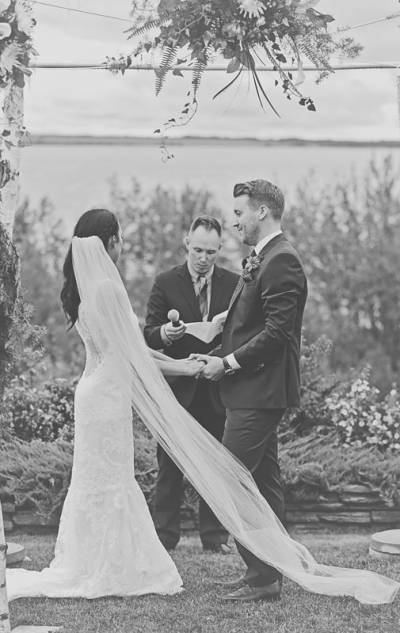 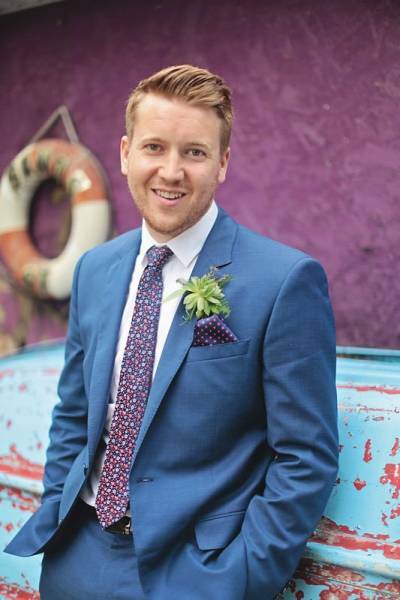 A beautiful romantic veil with soft waves for the ceremony and a colourful floral crown and updo for photos, it's definitely the best of both worlds! 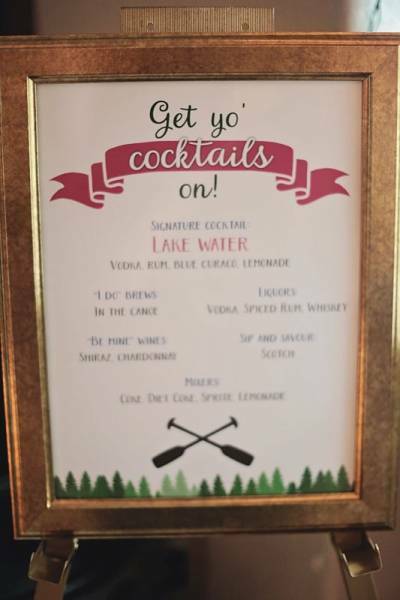 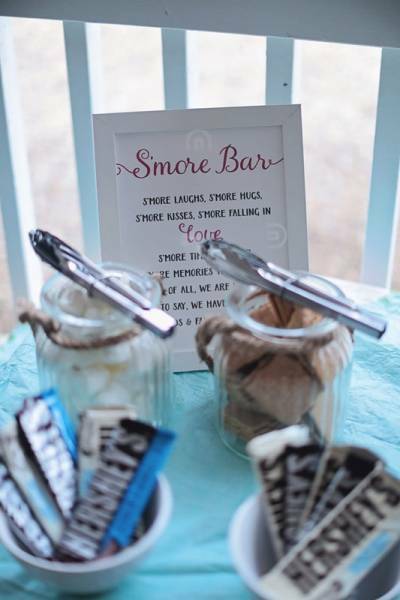 The reception included everything from a delicious s'mores bar to custom cocktails, all accented with gorgeous flowers and rustic touches. 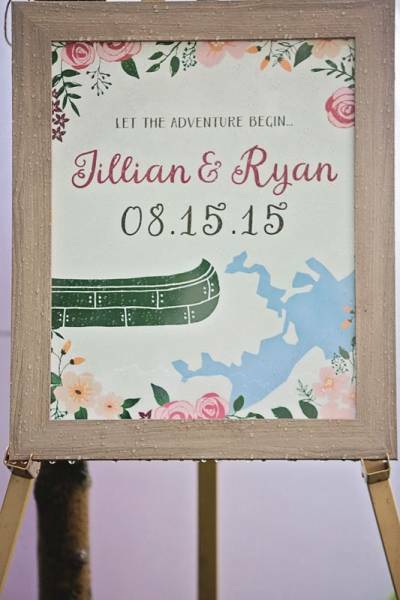 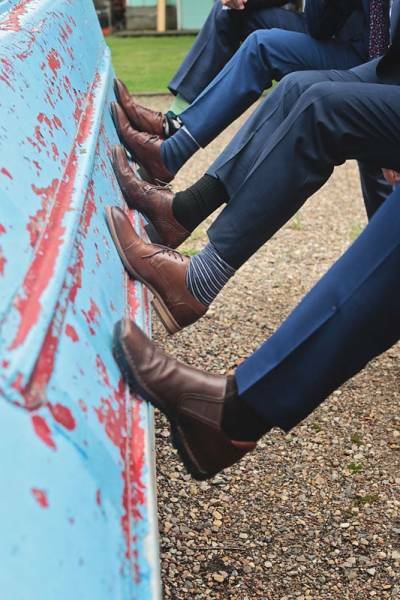 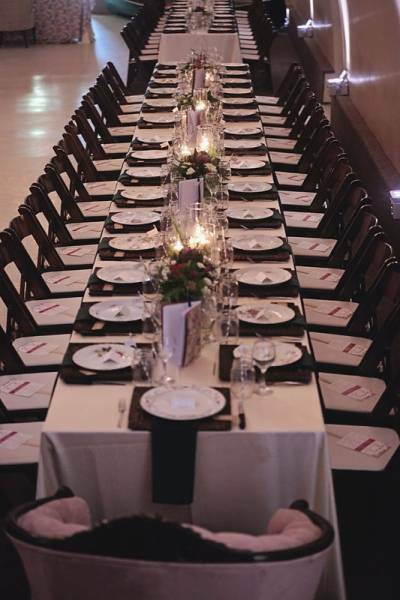 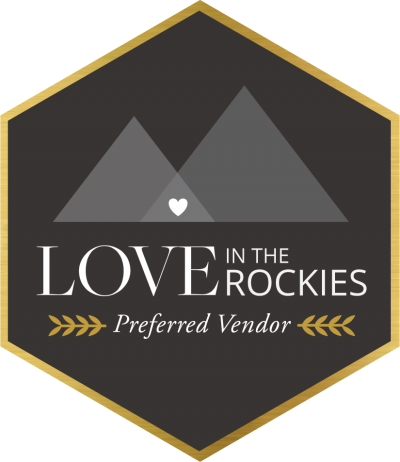 The reception was luxurious and bohemian, free-spirited and elegant, and we are loving every beautiful detail. 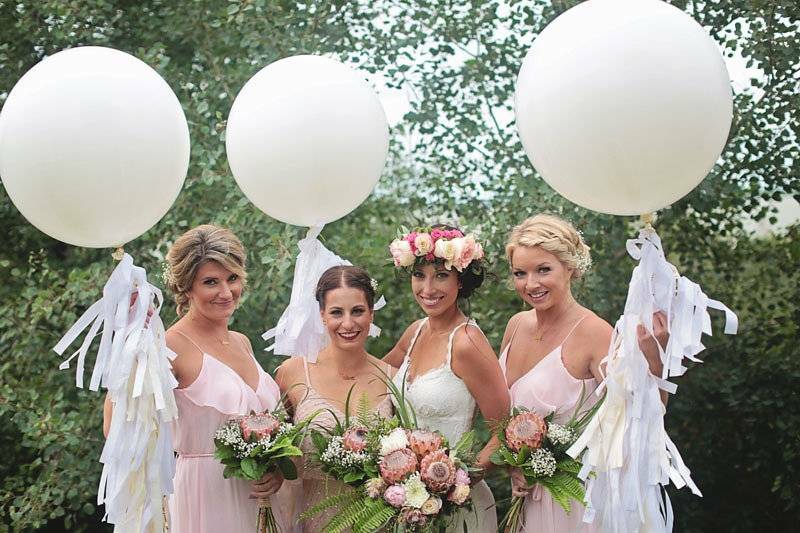 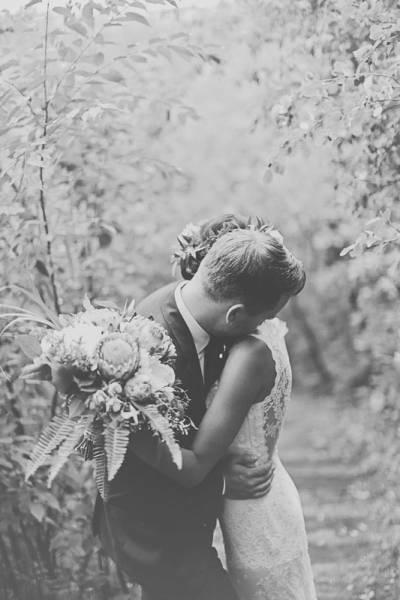 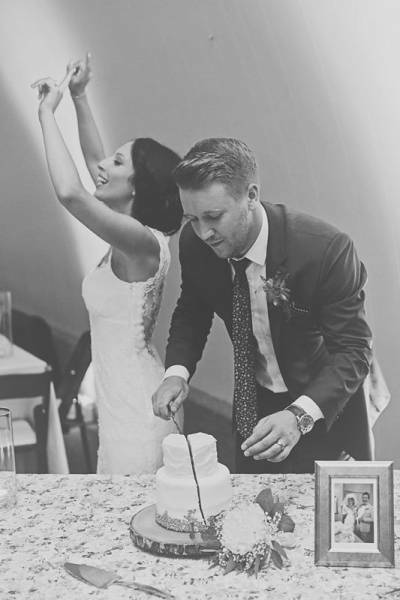 A huge thank-you to Radelle from Eternal Reflections Photography for sharing this gorgeous wedding with us today!